An age of the Internet that just may revolutionize how we see the world today. Thomas Kalil is the Deputy Director for Policy for the White House Office of Science and Technology Policy and Senior Advisor for Science, Technology and Innovation for the National Economic Council. Before working at the White House, he served as the Assistant to the Chancellor for Science and Technology at UC Berkeley, Chair of the Global Health Working Group for the Clinton Global Initiative, and Deputy Assistant to President Clinton for Technology and Economic Policy and Deputy Director of the White House National Economic Council. He has led a number of White House technology initiatives to date and recently sat down with Futurism for a Q/A style discussion on the upcoming $400 million government research initiative into 5G wireless networks. The Questions were presented to the Thomas Kalil through a Facebook Townhall. Readers in the audience were able to personally engage the White House about the future of 5G. Chace McLees: With the dramatic increase in speed provided by 5G, is it unreasonable to expect rates to drop by a significant amount for 3G and 4G? The White House: These 5G networks will allow us to download high-definition movies in less than 5 seconds, 100X faster than current 4G wireless networks and 25,000X faster than the 3G networks that were available less than 10 years ago. Amanda Gutterman: There are a lot of conversations about automation and how it will render a number of jobs obsolete, with this in mind, what (if any) new jobs will this development create? How do you think it will transform the way that we work or the work that people do? 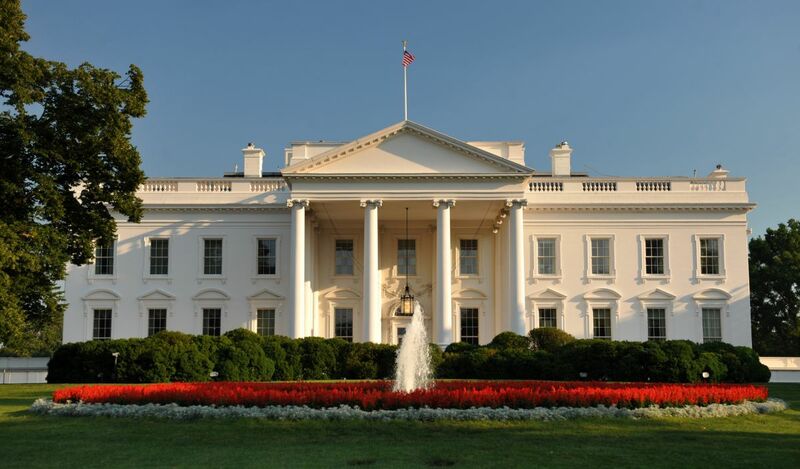 The White House: Wireless technologies will create new jobs for people that are deploying and operating wireless networks and developing applications that take advantage of these networks. Check out the White House Tech Hire Initiative to see how your city is helping prepare workers for tech jobs. Quinn Lukman: How will the United States uses this new technology to further advance peace and justice? And Is it likely that conference/meetings will be conducted by utilizing virtual reality’s technology instead of traditional methods in the near future knowing that with 5G, online VR can be accessed anywhere and at any place? The White House: President Obama has launched initiatives like Data Driven Justice and the Police Data Initiative. Wireless technology will support these and other initiatives that promote peace and justice at the community level. Jocko Ramos: Will we actually be able to use the 5G network? or Will it only be available to isolated areas of higher income communities? Example of how it will really work …..We will pay for 5G, get 5G for about an hour and then be throttle down to 4G for 3 hours, then, if you play a video you’ll be throttle down again to 3G for the rest of the day. Because they’ll tell you that they don’t have the infrastructure to handle that type of data use. The White House: Yes! President Obama’s goal is to make this technology accessible to everyone. For example, 98% of the country now has access to 4G technology — we can do the same thing with 5G. Martin Stuvland: What will be the main differences and improvements from it’s predecessors, 3G and 4G? Will it work in a fundamentally different way, allowing it to perform different tasks than the current networks? The White House: 5G will be up to 100 times faster and also able to support real-time applications like self driving cars and virtual reality. Lee Gee: What does 5G wireless internet really mean in relation to the everyday individual? What does this mean for bandwidth caps? What is the most notable way that it will transform our day-to-day lives? The White House: New applications such as self driving cars, ultra-fast download of video, remote tele-surgery, allowing firefighters to be able to rescue more people from burning buildings. Jackie Ch: How long do you think it will take until this advancement is fully realized? The White House: Companies are already starting to test early versions of this technology as early as 2017. But the technology will continue to evolve over the next 5 to 10 years. Luke Kingma: What’s the biggest hurdle we still need to overcome to make 5G ubiquitous, and what are your plans to overcome it? The White House: Companies would like to make sure 5G technologies are more reliable, dependable, and secure so that we can count on them for more critical activities. Cities that want to be a leader in 5G will also need to work with industry to site the infrastructure that is needed for wireless networks.